I was looking forward to spending the long Holy Week break at San Antonio, Nueva Ecija when, unfortunately, my father informed me that the renovation of our house was not yet done. With the sudden change in plan, I quickly made a mental list of the things that I could probably do during the vacation. I immediately texted Deeday and Cecille, asking them if they had anything planned during the Holy Week break. I quickly received a message from Cecille asking me if I wanted to tag along in her annual Visita Iglesia. Of course, I readily accepted. 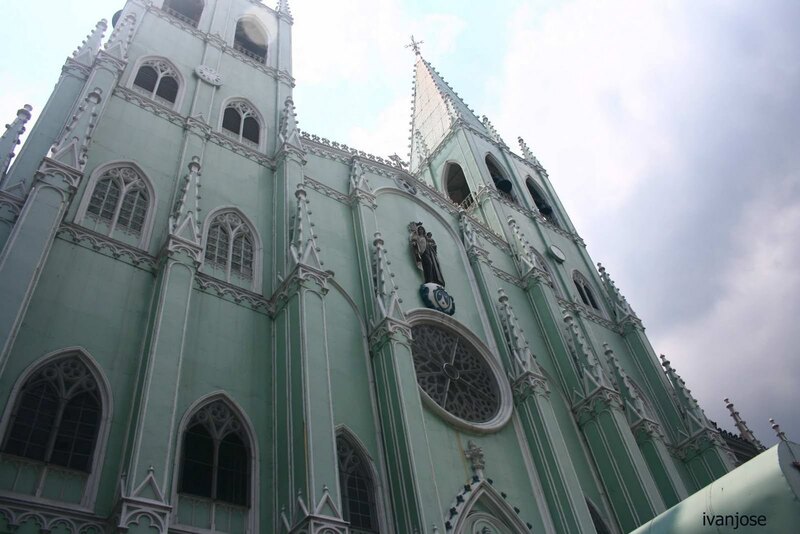 The Visita Iglesia is something that I have yet to experience. We were to visit seven churches, which is the tradition. We began the day by visiting the Sto. Domingo Church. There were already many people inside when we got inside the church. We left after about five minutes. Next stop - Lourdes Church. Lourdes is a memorable church for me as my former office was just across it. We had a quick lunch after our Lourdes visit, then proceeded to Sta. 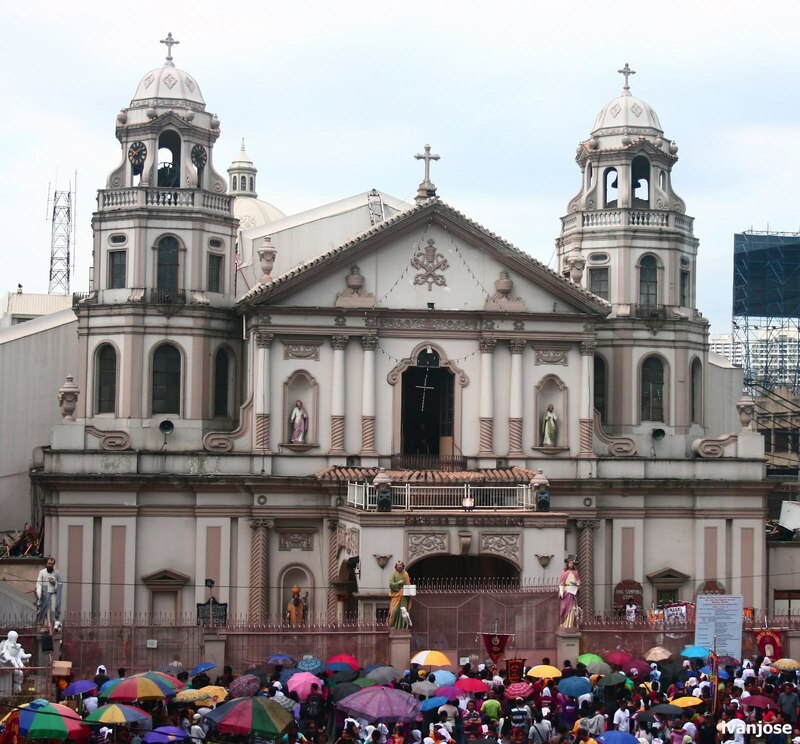 Cruz Church, Quiapo Church, San Beda Church, St. Jude Church and Espiritu Santo Church. Each church was a sight to behold. However, two churches that I found unforgettable were the San Beda Church (because of the stunning details of the interior) and the Quiapo Church (the architecture and the number of devotees). We ended our Visita Iglesia with a visit to the Espiritu Santo Church in Tayuman. That night, I received a message from Deeday, this time asking me if I wanted to join her and Ate Baby in the Black Nazarene procession. I thought "why not? "; that sounded like a unique adventure. The next day, I woke up early to prepare for the procession. Since most people were in a holiday break in the provinces, the streets were plainly deserted. From UP, I was in La Loma in less than 15 minutes. We took a jeep from La Loma and got off at Legarda. From there, we walked to catch the procession in one of the small alleyways in the area. Deeday and I were loving the feel of old Manila as we hurriedly walked to catch the Nazareno. 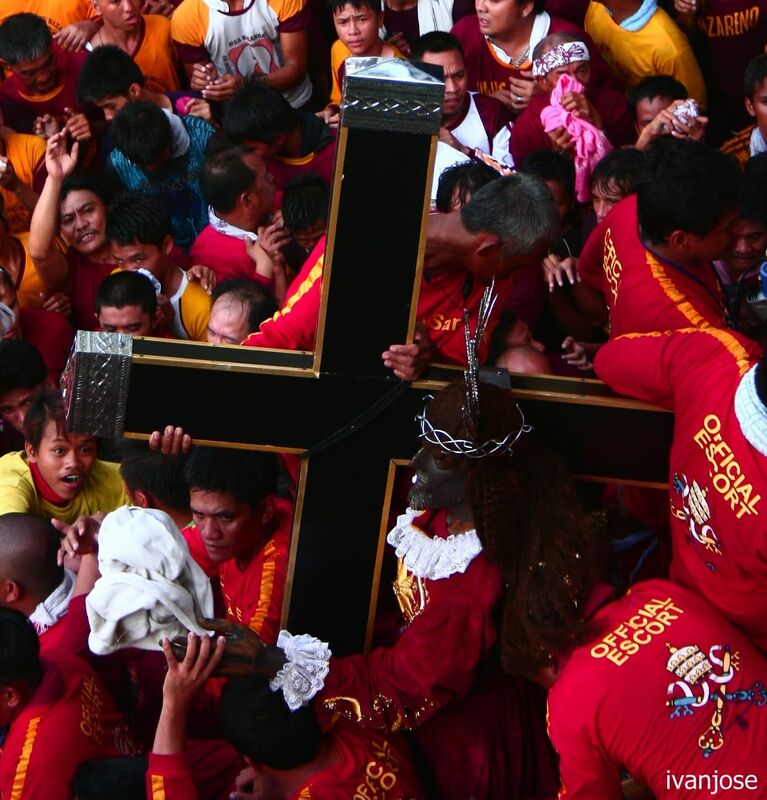 When we finally saw the Black Nazarene, I was awed by the devotees who were scrambling to touch the religious figure. The people were literally walking on other devotees' shoulders just to stroke the image. 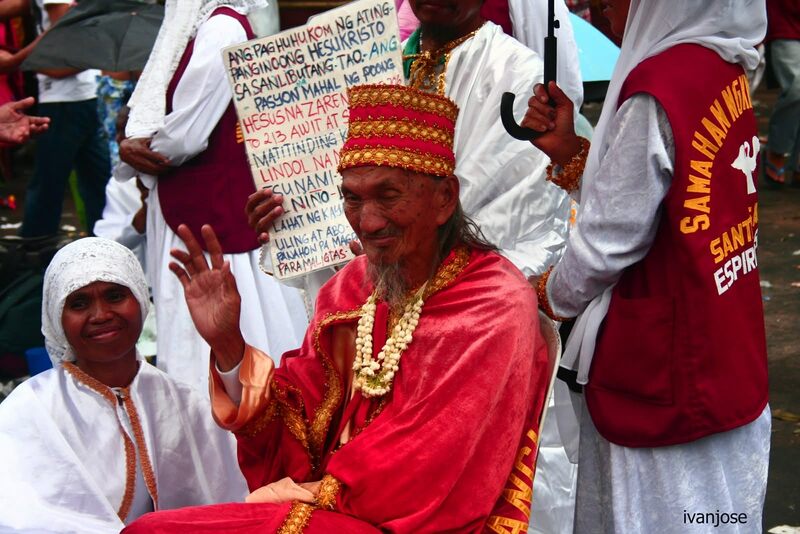 Indeed a testimony to Filipino religiosity. After some walking, we stopped to rest at the San Sebastian Church. The church's architecture was impressive. I later found out that it was made entirely of steel. The interiors were likewise remarkable - the colors, the details, the antique figures. Every element looked amazing. When we had rested a bit, we decided to overtake the procession because the pacing was painfully slow. 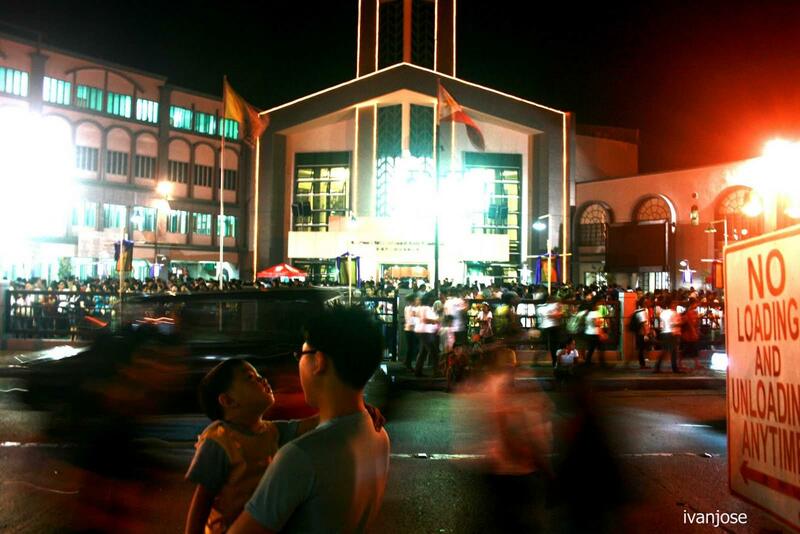 We headed to Plaza Miranda where many devotees were already waiting. A curious character, whom I called Supremo, caught my attention. I readily took a picture of him. I believe he heads a religious cult proclaiming the end of the world. We found a good spot at the second floor of Mang Inasal where we had a good view of the entire plaza. Knowing that it would take some time before the procession arrived, we ordered lunch to save our space. As we saw the procession approaching, the crowd in Plaza Miranda had increased significantly. I saw that pushing the Black Nazarene's carriage through the crowd took tremendous effort. Devotees were battling to touch the figure at the last minute. It took a good 30 minutes before the escorts were able to push the carriage inside Quiapo Church. After the procession, we headed to San Miguel church. Deeday informed me that she was baptized in that church. Inside, we saw a play called "Senakulo" which is about the passion of the Christ. From San Miguel parish, we headed back to La Loma so that Ate Baby could rest. At 6:00 PM, Deeday and I decided to do a Visita Iglesia of our own. We proceeded to Sto. Domingo Church then to the UST Church. From UST, we walked all the way back to La Loma. We had Krushers at KFC in Mayon and after a few minutes of talking, we decided to call it a night since we were both tired. It was a day well spent. Tomorrow, it will be another mini adventure for us. in: Black Nazarene, faith, heritage, Philippine customs, philippine traditions, Quiapo Church, religious traditions, San Sebastian Church, St. Jude Church, Travel, Visita Iglesia. Very beautiful architecture. I hope I'm not being insulting with this comment. As a Christian, I'm not understanding the significance of touching the Black Nazarine figure? Hello, karlapitzen. Thank you for dropping by. Touching the figure is a local tradition which stemmed from the belief that the image is miraculous. Devotees believe that if they touch the figure, miracles and blessings will come upon them. Wow!!! this architecture is very impressive and beautiful! Have a nice new week! 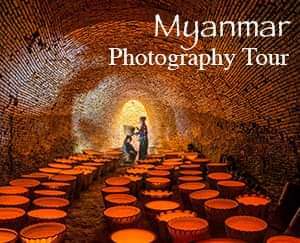 I liked the photograph and the way you have narrated the trip. Its very interesting. Have a nice week ahead. The architecture and elements do look great! So glad you enjoyed your time there!! Sound interesting! It's always great to get a chance to join events like this. No wonder you were pretty tired in the evening. Filipinos have always celebrated the Holy Week with much dedication and love for their religion. I really admire their attitude towards the whole thing. It was such an exciting and tiring day for you guys and I'm sure it was an unforgettable experience too. Hi, Lizelle! Nice to meet you. Yup, we did a Visita Iglesia last Holy Week. We visited Churches in Pampanga and Nueva Ecija. It's a great way to strengthen faith and a heritage tour as well. I love the photos in this post. They really capture the atmosphere. What a beautiful church. This was a very interesting post. I would love to travel for Holy week. Thank you. The Holy Week is indeed not just a period for renewing faith but an opportunity for heritage tours. You had unique experience, I would love to go there and experience these wonderful traditions. Great photos as well! It's beautiful to see the devotion that comes from people's heart toward what they believe. Lovely photos, and well written post. You described the event very well. The architecture of the buildings looks great! I don't think they make such buildings anymore. It was interesting reading about your experience. What I love about religious buildings is for sure the architecture. It looks always so dramatic and I love that. Thank you so much. Do visit the Philippines someday. Thank you for visiting! It was a day well-spent. Filipinos are very devoted people. Oh, yeah. It's a small hidden church worthy of a visit. Yup, indeed. It was an exciting day. Though the procession can be very chaotic. Thank you very much. Hope you are having a great week, too. Yup, lots of antique, European structures around old Manila. Remnants of the Spanish era. I have always wanted to go to San Antonio. I hear its nice.